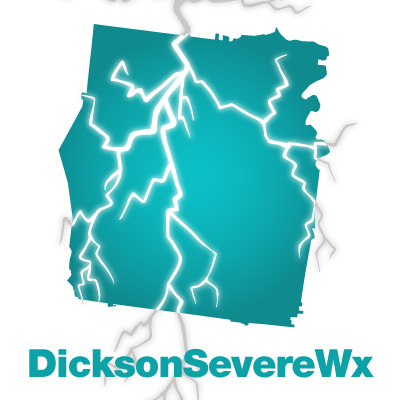 The HRRR above is saying 5am for Northwest Dickson County, 6am for Southeast Dickson County. 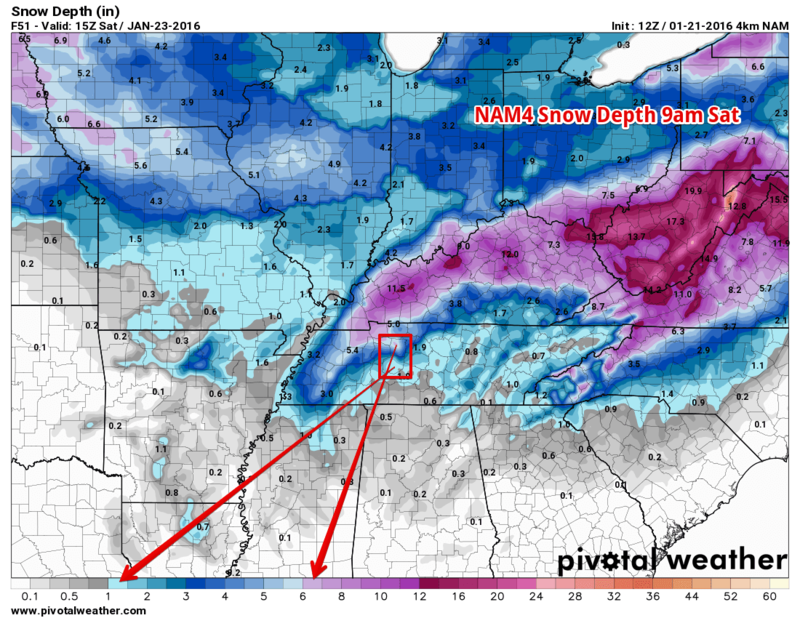 The NAM4 is saying 7am for Northwest Dickson County, 8am for Southeast Dickson County. 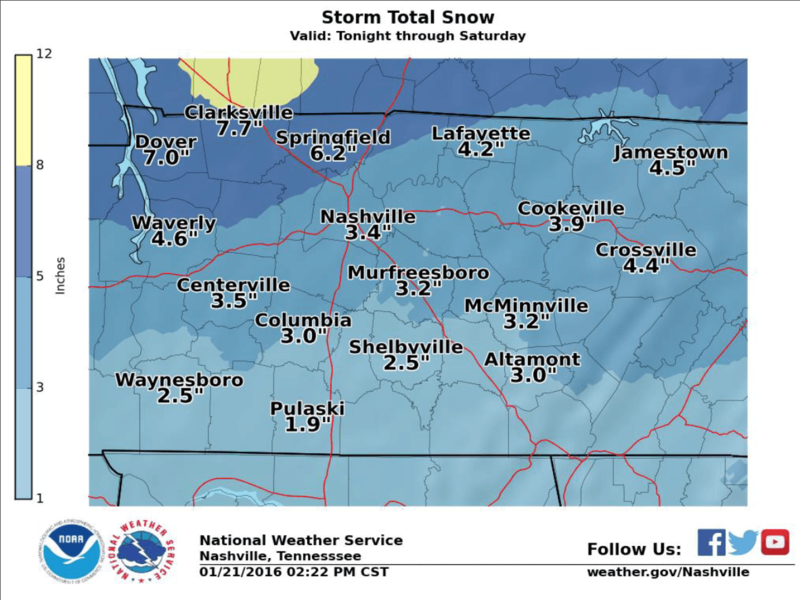 And here’s what NWSNashville is estimating for snow accumulations (we’ll talk more about this later in the post). 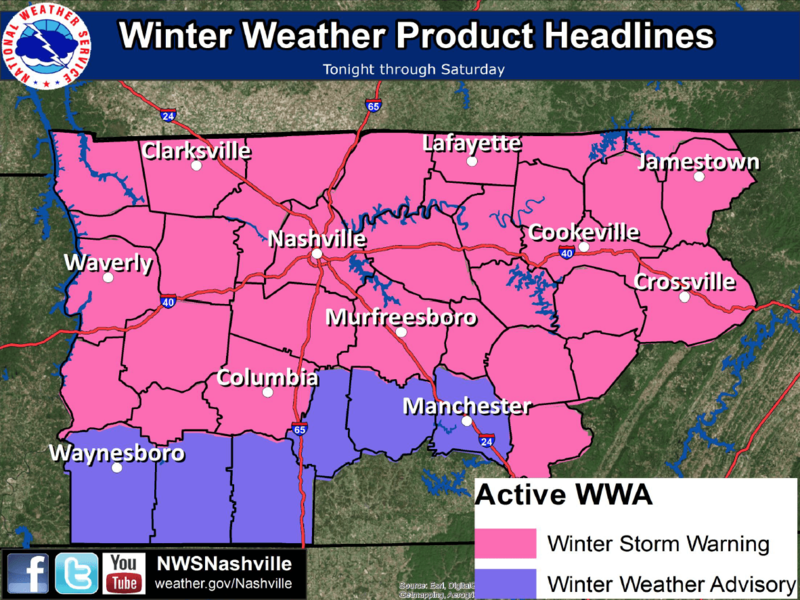 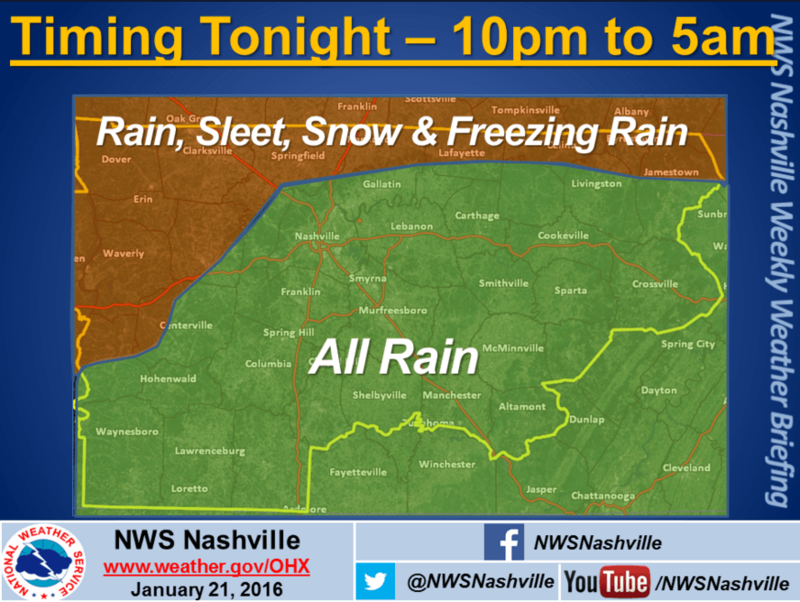 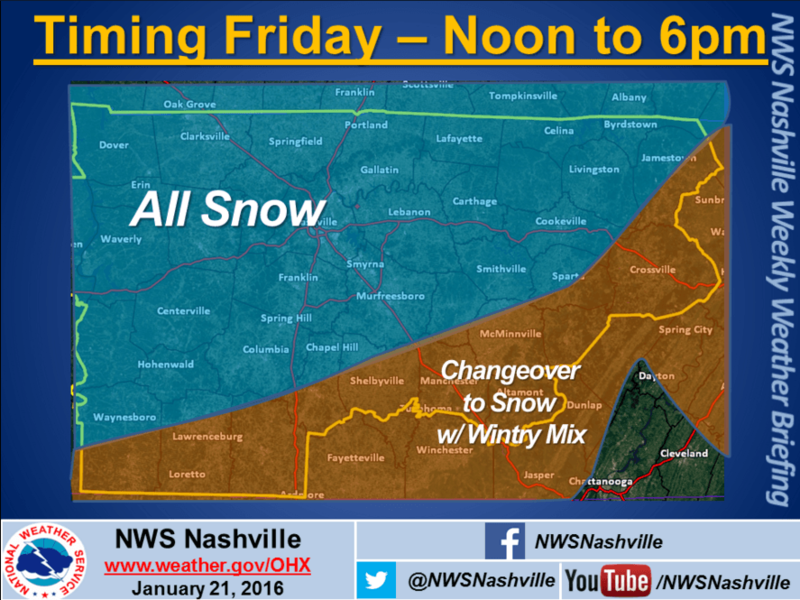 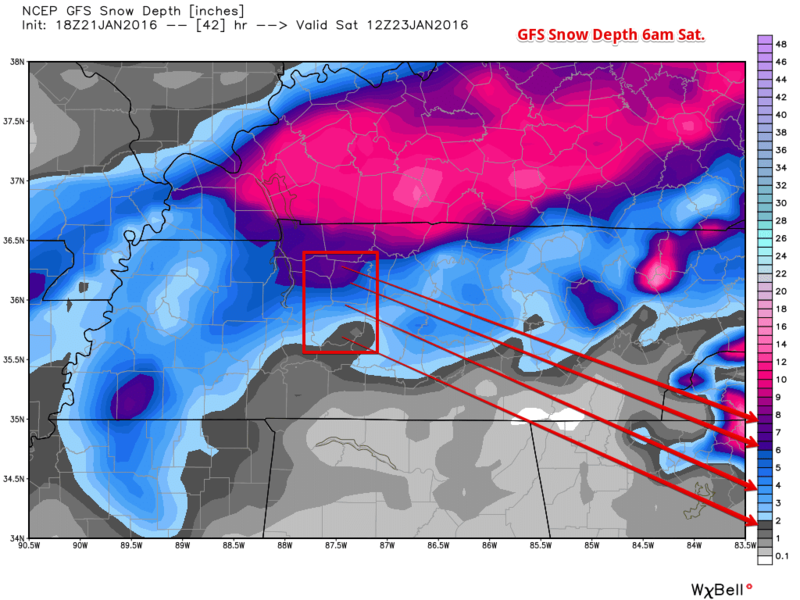 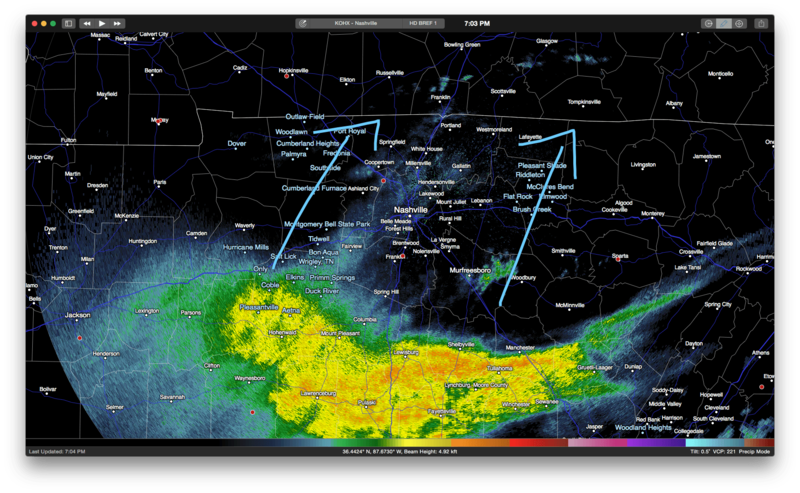 NWSNashville anticipates Dickson County receiving about 3-6 inches of snow. 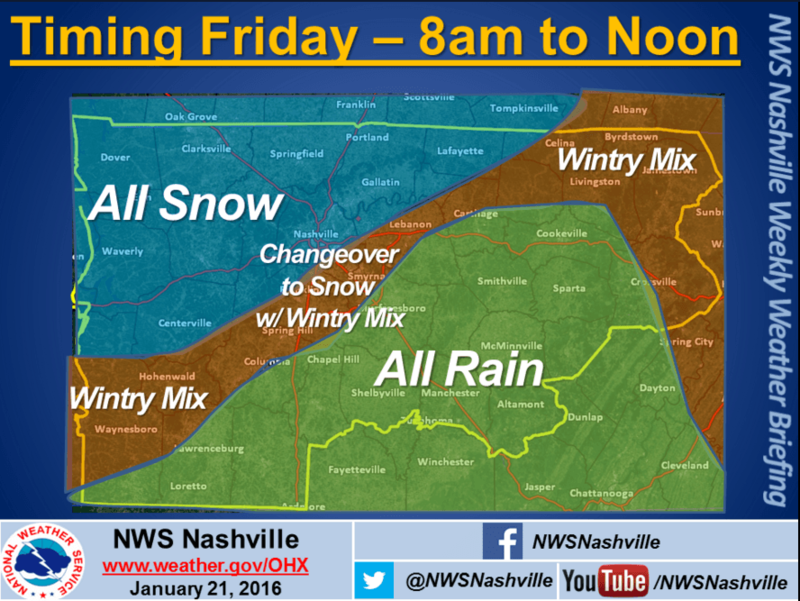 Notice that Dickson County has a sharp gradient the further south you go. 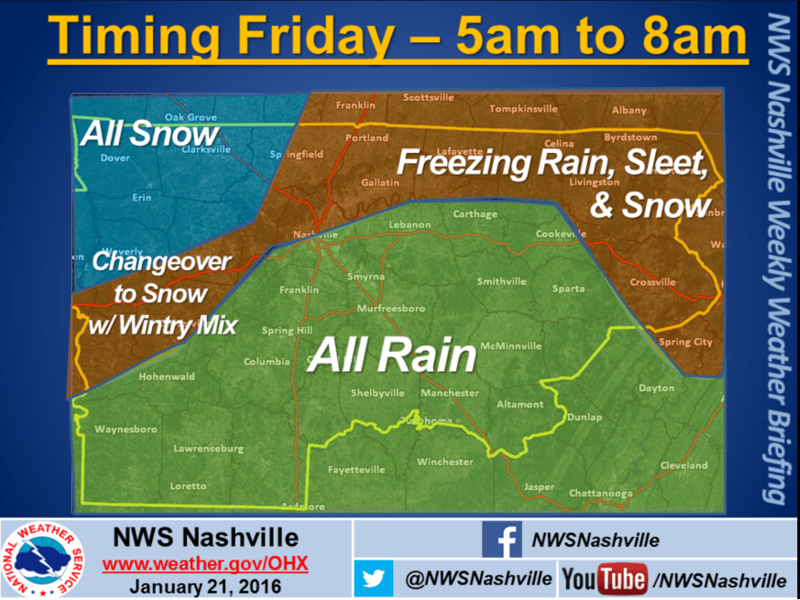 Northern parts of the county will see more snow (4-7 inches) while the Southern parts of the county will see less snow (3-5 inches).